Not even a cold snap could stop true Slurpee fans from missing this one-day promotion! 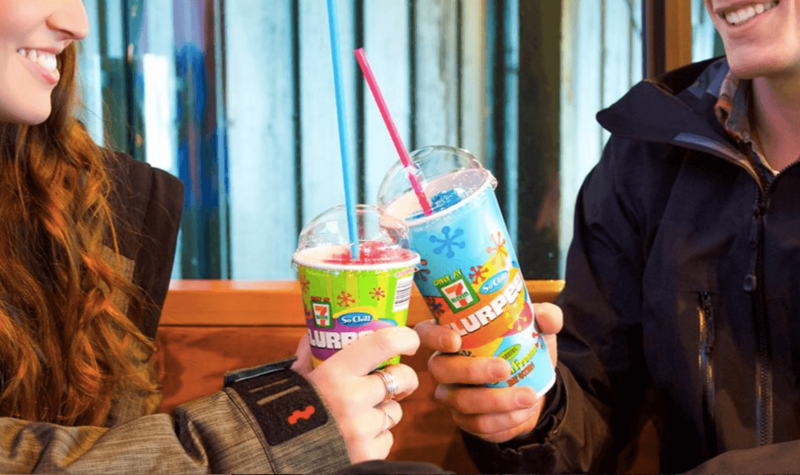 The Canada-wide chain of convenience stores is celebrating Reverse 7-Eleven Day–on Tuesday, November 7 (11/7), obviously–by giving away FREE medium-sized Slurpees. There’s just one catch… To take advantage of this free giveaway, Slurpee fans have dress backwards. Which may or may not be better than dragging an oversized fish bowl down to your corner store. Good thing it’s November and it’s easy enough to put a parka on backwards eh?